The Warlocks officially finalized their robot design in Week 3! 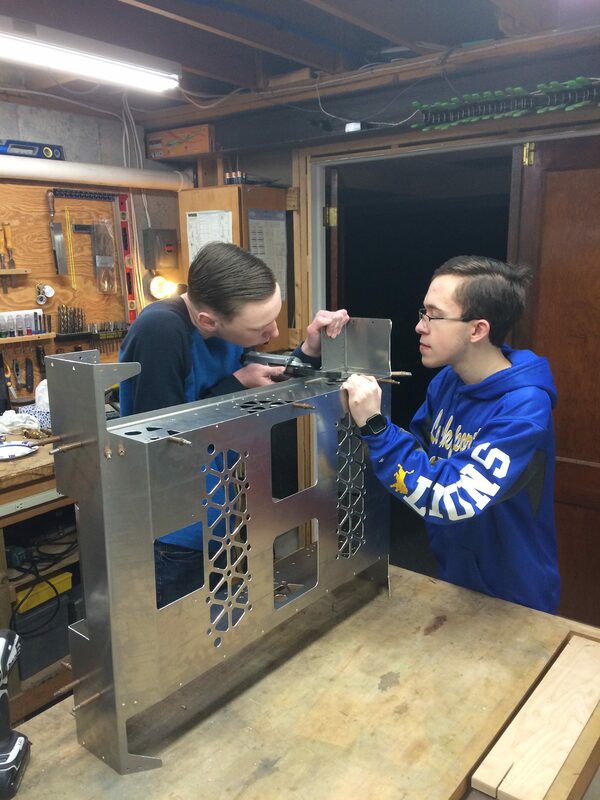 We have kept on schedule this far in the season by beginning to build our robot, beginning with the base. A few of the students are learning how to rivet the base and then they will return to continue working on the rest of the robot. Each subteam has been working hard to make sure that we will make the deadline. This week we are highlighting the build team. The build team, led by Jeremy and Ian, has been prototyping and now that the base has arrived, they have begun to build our competition robot! 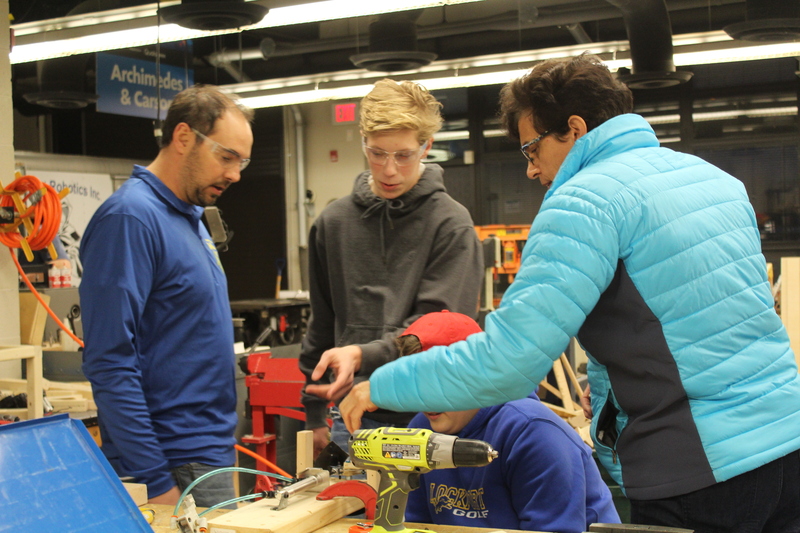 Since build season is about halfway over, the build team is beginning to stay late into the night to ensure our robot will be ready on time.